Beautiful setting on the private and scenic Boulder River. Private fishing right out the back door and only 20 minutes to five star dining in Big Timber! 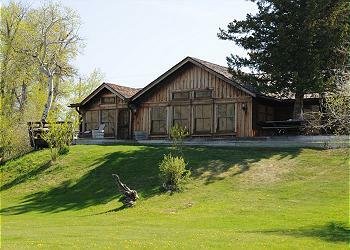 PLEASE NOTE: Next door is another cabin, the Boulder River Barn, that can be rented together for a total of four bedrooms and three bathrooms. 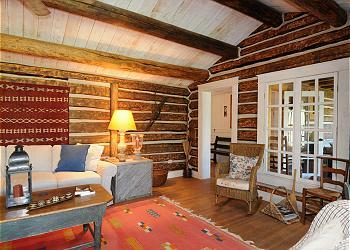 Boulder River Cabin can accommodate up to four guests and Boulder River Barn can accommodate up to four more guests. Please inquire for rates for both. 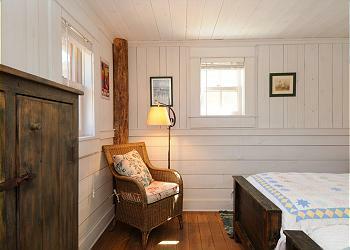 The cabin has wireless internet for guests use so don't forget your laptop. This cabin has a 5 night minimum. 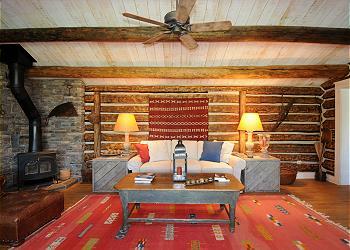 BRIEF DESCRIPTION: This wonderful cabin was built by one of the area's premiere builders, who specializes in creating very rustic, historic looking cabins, with very fine finish details and amenities. There is a sense of Old West history here, yet you will enjoy fine linens, tasteful artwork and completely modern and up to date amenities. 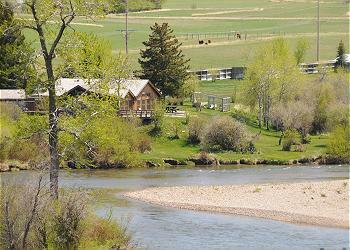 The Boulder River Cabin and Barn are on 60 acres along a private stretch of the Main Boulder River, just south of McLeod. This road does have some truck traffic on it during weekdays, as it leads to an operating mine at the end of the East Boulder Road. The roadside edge of the property is protected from the traffic by a high, solid wood fence. 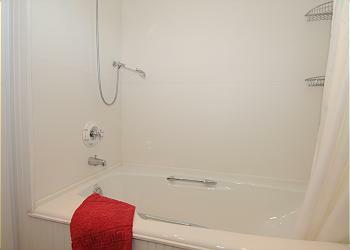 BEDROOM AND BATHS: There are two spacious bedrooms in the home, each with a private bath with a great soaking tub and shower in each bathroom. The master bedroom has a queen size bed. 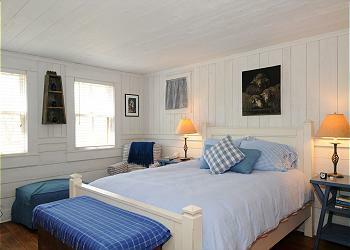 The second bedroom has two twins, or they can be pulled together to make up a queen size bed. 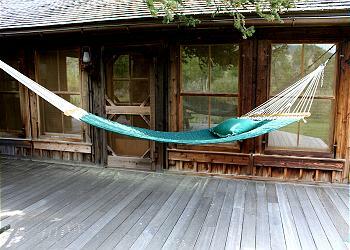 The front porch of the house has a sofa that will also pull out to a futon style bed for an additional sleeping area. 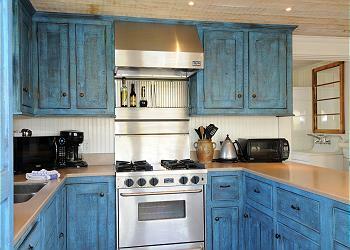 KITCHEN: This kitchen has absolutely everything you will need to cook up a hearty breakfast before going fishing. There is a charcoal BBQ grill for your evening dinner. All cookware, serving ware, utensils and a spice cabinet are there for guests. DINING AREA: The dining table is just off the living room and seats up to eight guests comfortably. 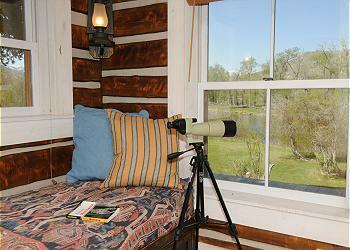 You can also head out on the back deck and dine at the picnic table overlooking the river. LIVING ROOM: Cozy living room has much comfortable seating for evenings at home. Additional seating out on the front porch allows room to spread out for your group. The living room is set up with a television and satellite service. There is a stereo system with a CD player at the cabin also. SETTING, ACREAGE, VIEWS: From the back door, head out and explore the 60 acres and half mile of river frontage on the Boulder River. This river is a great size for wade fishing or for kids to splash around and play. Meandering walking paths around the property make for very easy exploring! Drive a little bit farther up the main road and you will find trailheads for hiking or biking up into the Absaroka Beartooth Wilderness area. Natural Bridge park at the Main Boulder and Indian caves are just a couple of the nearby hikes. 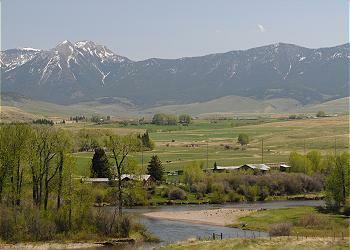 ACTIVITIES NEARBY: Besides fishing on the Main, East and West Boulder River, there is hiking and mountain biking on nearby trails, horseback riding, golf, skiing, tours of Yellowstone National Park, and everything that the towns of Big Timber, Livingston and Bozeman have to offer. CLOSEST TOWN AND AIRPORT: It's about 20 miles to Big Timber, just under an hour to Livingston, and 1.5 hours to Bozeman's airport. Yellowstone National Park is just under two hours away. We were so amazed the minute we walked through the door - this cabin was exactly where we wanted to be! We loved the seclusion and the beautiful country setting. Being right on the Boulder River was an added bonus. We enjoyed our morning walks along the country road, and were greeting each morning by the two horses living on the property. There is another cabin on the property, but you barely know it is there. 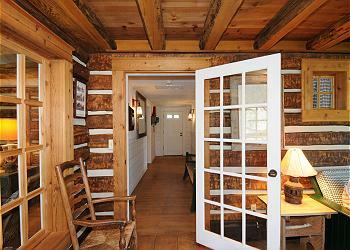 The inside of the cabin was like being in a real ranch house - authentic yet all the modern conveniences. The only downside was the long drive to town - if you plan to dine out or pick up groceries, etc. We hope to return to the cabin! 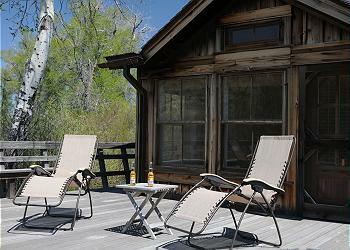 Thank you Karen for your wonderful review of the Boulder River Cabin! 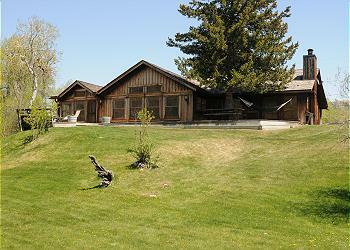 We are happy to hear that you thoroughly enjoyed the home and the peaceful surroundings of the Boulder River Valley. We certainly hope that you can return in the future! Let us know if you are able to make another trip as we would love to have you as our guests again! 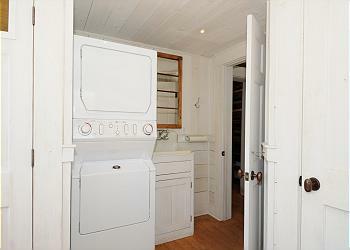 The cabin is clean and comfortable with 3 beds and additional roll out and sofas. Kids liked the movie channels and adults liked the scenery and fly fishing. The grass paths to the East Boulder River were mowed and fishing was fun. The screened in back porch keeps skeeters away and the cabin by the river is nice. A bit pricey but a good experience. Hello John! Thank you for your review of the Boulder River Cabin! We are very glad your group enjoyed the home and surrounding property. We love hearing when our guests have had a wonderful time at a Mountain Home property! Let us know when you are planning another adventure as we would love to have you as our guests again!